At the Beijing Motor Show, the new Honda Everus EV Concept anticipates the first all-electric mass-production car the Japanese brand is developing exclusively for the Chinese market. Especially in design, body shape and dimensions, the new electric concept is very similar (if not identical) to the current HR-V. Evidence grows more significant by the lateral lines. At least for now, there are few details about the new electric model. 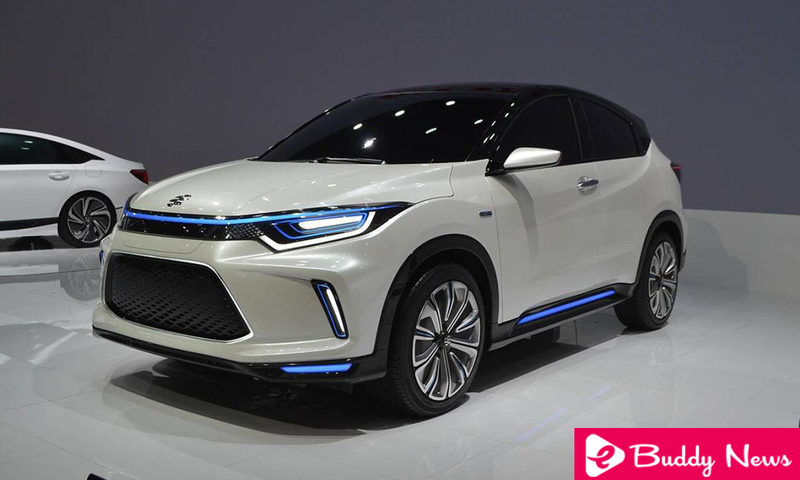 However, the brand has already stated that it will be marketed in the Chinese market from the second half of 2018 by Everus, a car brand formed by the joint venture between Honda and the Guangzhou Automobile Group (GAC). Apparently, the production version of the car will be quite similar to the concept. Compared to the HR-V, the new Honda Everus EV Concept car differentiates itself from the front and rear forms. The front part of the body is formed by the optical assembly entirely in blue and white LED, with a fillet that runs through the upper part of the central grid, and also a central opening to connect the charger. There is also a huge intake of air in the bumper, these with more robust forms and with auxiliary lights also LED at the ends. The set also includes black-painted columns and ceiling, more compact rear-view mirrors, new alloy wheels and even lights at the bottom of the doors. Finally, the rear repeats the more modern appearance of the front, with lanterns that resemble those of the HR-V, but invading the trunk lid and also with lights with a three-dimensional effect. The bumper is also illuminated and is marked by the lower black portion. In addition to offering it on the market, Honda will make the new model available through a car-sharing service of Reachstar, a Chinese company with industry experience. The Honda Everus EV Concept is part of Honda’s plan to launch more than 20 fully electric cars by 2025.